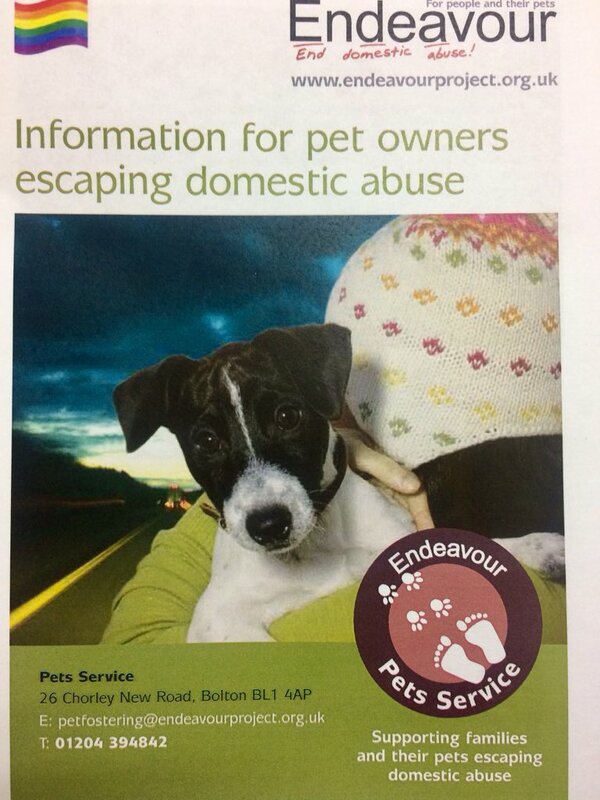 Various groups now look after pets while their owners flee domestic abuse or stay in refuges. In homes where there is violence and abuse, pets are often threatened, injured or killed by violent men to maintain control over their partners and children. In a survey of 50 women pet owners living in refuges because of domestic violence, 2 out of 3 said their abuser had threatened to harm their pets; 38 per cent said that he had actually harmed them and a massive 94 per cent said if there had been a pet fostering service it would have made it easier for them and their children to escape the violence. And research has shown that there is a link between animal abuse and domestic violence: men who are violent to women may threaten to harm or kill a beloved pet in order to intimidate their partner. Many women and children are forced to stay with violent partners because they feel they can’t leave their pets behind. Well over half had to give up their pets when going into the refuge as there was no other option. But various groups do now look after pets while their owners are in refuges or escaping abuse. The Links Group is a multi-agency group that promotes the welfare and safety of vulnerable children, animals and adults, and its members include leading associations and charitable organisations. And some charities that are part of The Links Group offer pet fostering services specifically for pets belonging to women fleeing from domestic violence. The services listed below ensure that pets are cared for in a volunteer foster carer’s home until their owner is able to be reunited with them. All placements are strictly confidential. The Dogs Trust’s Freedom Project offers a free, confidential dog fostering service for people fleeing domestic abuse. Dogs are cared for by volunteer foster carers in their own homes until they are able to be reunited with their owner. Dogs must be over eight months of age. And Cats Protection’s Paws Protect offers a free confidential cat fostering service for people fleeing domestic abuse. Cats are placed in volunteer foster homes, treated as a family pet until they are able to be reunited with their owner. Cats must be over 6 months of age. For a list of other pet fostering sites, click here. And the government has recently confirmed that maximum sentences will be increased for perpetrators of animal cruelty. The maximum sentence has so far been six months, but following a consultation the government has now confirmed it will legislate to increase that tenfold for serious offences, sending a clear signal that there is no place for animal cruelty in England. So animal abusers who commit the most heinous crimes will now face up to five years in jail. And in line with the recommendation from the Environment, Food and Rural Affairs Committee earlier this year, legislation on sentencing will be brought forward separately so courts have the powers available to them. The plans, the Department for Environment, Food & Rural Affairs said, are part of wider programme of reform to cement the UK’s position as a global leader on animal welfare. This includes making CCTV mandatory in all English slaughterhouses and taking steps to control the export of live farm animals for slaughter as Britain leaves the EU. Foster homes are always needed. Check the websites listed above if you want to help out.